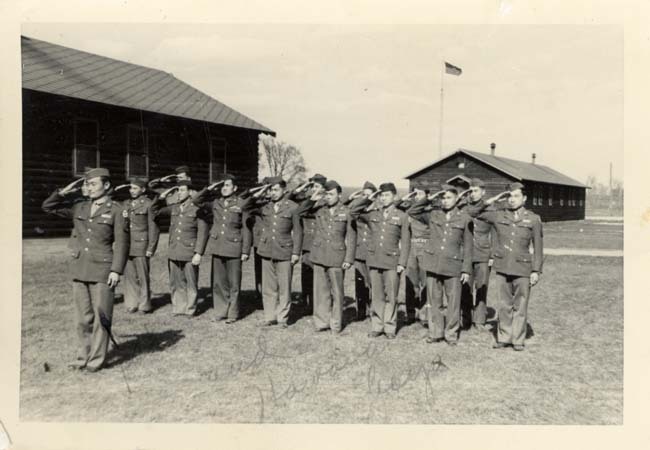 During relocation, Nisei (American-born Japanese Americans with immigrant parents) were recruited from the camps into all branches of the US Armed Forces. The largest number, including these soldiers, served in the US Army. “Nisei soldiers at Jerome Relocation Center,” Digital Public Library of America, http://dp.la/item/f5ef15141c3aa6107c61d9b8fe1e7f32. Courtesy of California State University, Sacramento Library via California Digital Library.